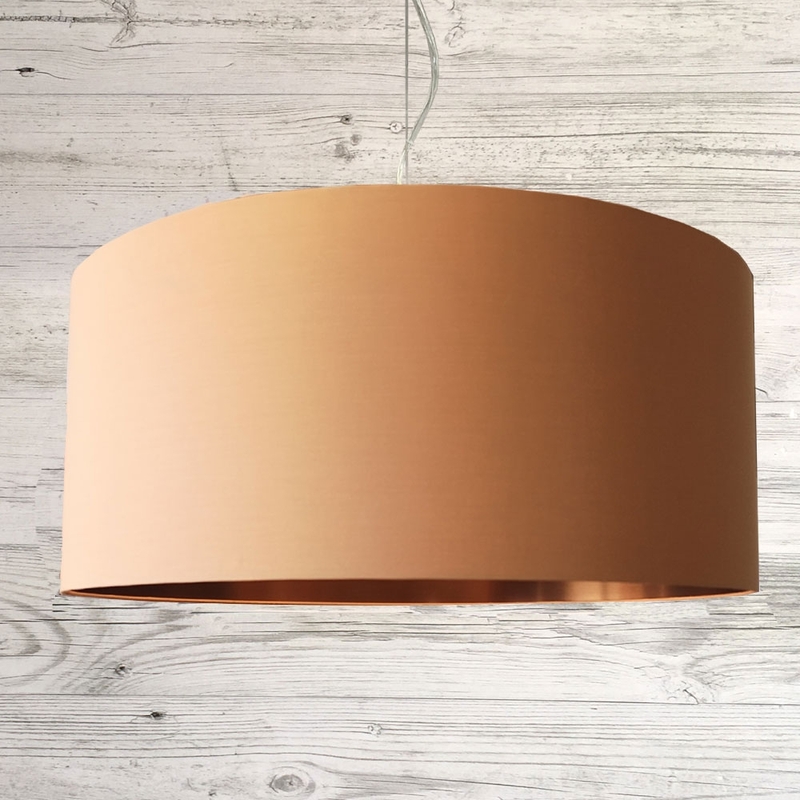 This Striking drum pendant lamp shade will be the talking point of any room. Hand made in orange cotton and finished with a hand rolled edge that compliments the shade. 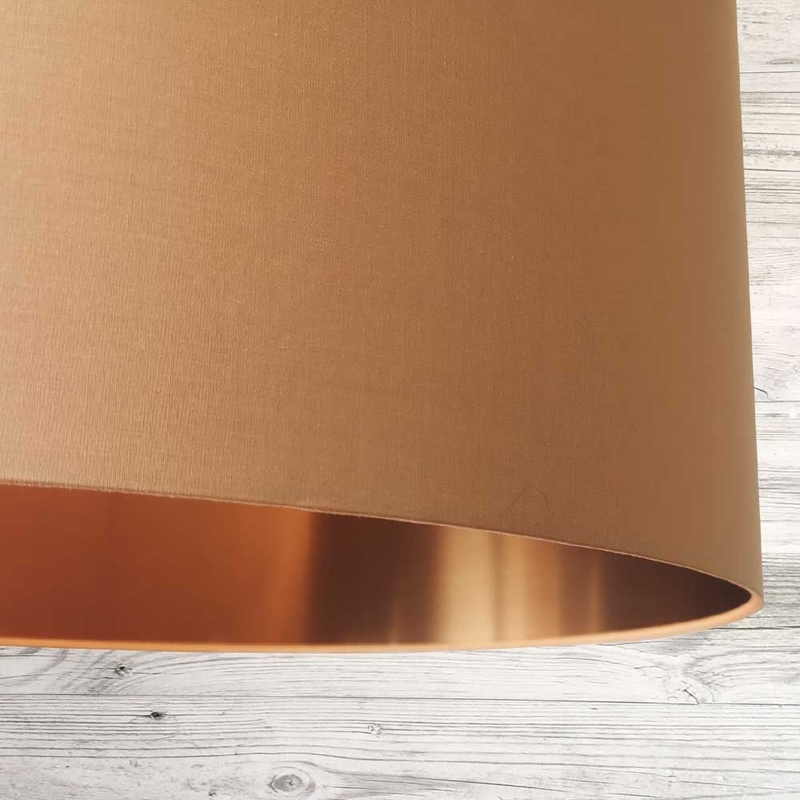 Lined in a brushed copper material this shade gives out a warm soft glow when lit. Size: 12" 14" 16" 18" 20" 22" 24" 28" 32"